This week I met this gorgeous 5-year-old girl Shaira and her mother. Shaira is the youngest of three children, with her mother and father, they live about two hours drive from Santiago City. Her Dad is a construction worker. When work is available he is earning approximately $8 a day, but as a casual worker he is never sure when or where he is likely to get work. Her mother noticed something with her eyesight about a year ago. Struggling to cope with funds just to keep themselves afloat, healthcare was simply a luxury they could not afford. When they learnt of a possible cataract surgery team in the area, they quickly came to Adventist Hospital Santiago City (AHSC) to enquire. 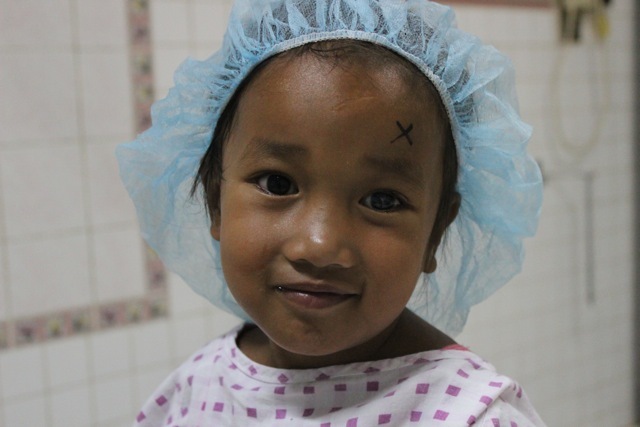 Many paediatric cataract operations will be completed under a general anaesthetic. While she was put on the list for surgery, Shaira’s health was not sufficient for a clearance for general anaesthetic. She was prescribed medication to treat her pneumonia and worm infestations. When advised of the cost of the medications on a trip to the pharmacy, her mother walked away, distraught that she did not have the funds available. They abandoned hope. Shortly before our arrival from Australia, the team at AHSC called Shaira’s mum to enquire about her health, as they had not heard from them. 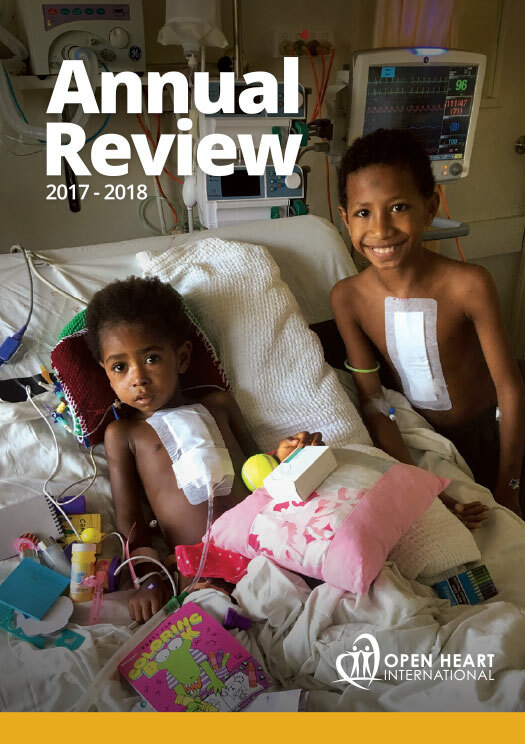 Learning of the situation, OHI quickly sprung into action agreeing to pay for the medications to improve Shaira’s health in preparation for surgery. 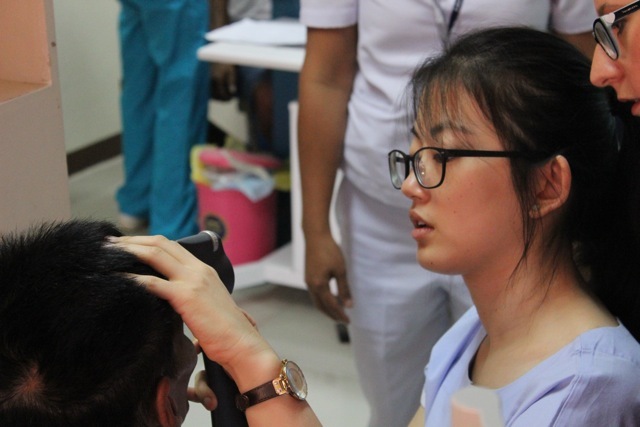 One day after surgery and Shaira can see and count fingers of someone three metres away from her, a great result so soon after surgery for someone without sight for a long period of time. She also requires some additional occlusion therapy. As she was so young her brain has not learnt how to see, so this therapy will assist. 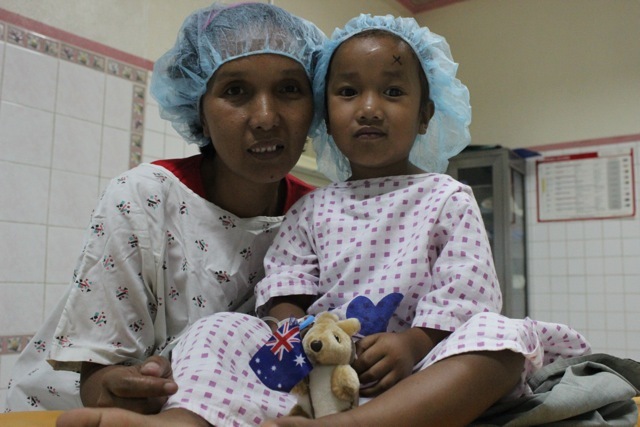 We hope that in time she will be able to grow up with minimal eyesight deficiency. 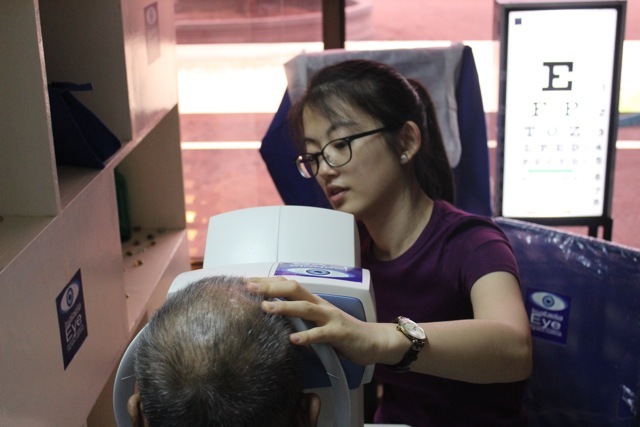 Working in the clinic everyday I have been privileged to see 96 people pass through during the trip so far, all whose lives are going to be so much richer as a result of improved vision and the efforts of Open Heart International’s work!